Planting in the Tracks of Goodyear LSWs: A Yield Crusher or Inflator? Before you start planting into a Goodyear LSW tire track, you may want to know how it will impact your crops' development. In 2018, we studied the impact of planting in Goodyear LSW tire tracks on crop emergence, soil compaction, plant and root growth, and yield. Low sidewall tires (or LSWs) continue to gain traction in the ag tire market. Our customers have seen real-world benefits running these huge tires: better traction through wet spots, more secure machine handling, lower fuel consumption, and even yield gains over a traditional dual setup—thanks to an increase in footprint size and a decrease in soil compaction. In 2018, NTS Tire Supply partnered with Nate Firle, chief agronomist and owner of AgRevival Research in Gibbon, Minnesota, to study the effects of planting with LSW super singles on both soybeans and corn. Specifically, we were interested in comparing the plants growing outside the tractor’s tire tracks to those growing inside the tire tracks. For this study, we compared two Goodyear LSW setups: We outfitted one tractor with LSW1000/40R32s in the front and LSW1100/30R46s in the rear. The second tractor sported LSW1100/35R32s in the front and LSW1400/30R46s in the rear. We observed the fields during the growing season to gauge the LSWs’ impacts on soil compaction, plant and root development, final stand, and yield. What did we find? The study confirmed that these tires can give you an advantage over traditional dual setups for planting. And it also showed that correct air pressure is absolutely vital to reducing compaction and crop damage. In average field conditions, there was no reduction in the final soybean stand between the two zones—inside and outside the tire tracks. In wet spots, we saw a 5% reduction in stand in very localized areas. Phytophthora was the main cause of stand reduction. This disease causes soybean plants to die in-season in wet areas that have high-compaction and low oxygen levels. We did see phytophthora impact areas outside the tire tracks, too. However, it was slightly less prevalent. With corn, the final stand was virtually identical inside and outside the tire tracks. Here we have to break the study down into the two tire setups we used—the 1100s and 1400s. In the areas planted by the tractor with the 1100s, there was no significant difference in soybeans between tire-track and non-tire-track areas. With corn, plants growing outside the tire tracks showed a very slight advantage in root development. Using the 1400s, however, we saw some negative impacts on both corn and beans. There was a slight reduction in vegetative growth and root development under average conditions. In wet areas, the differences were more noticeable: The root systems were flatter and closer to the soil surface. Using a drone to survey the fields, we could see that the plants in the tire track areas were stunted and behind in maturity. Within the most severe (the wettest) areas, the final stand was noticeably thinner. 3. Air Pressure is Vital! What led to the 1400s performing worse than the 1100s, especially in the wet areas? Air pressure. The planting tractor wearing 1100s weighed in at 26,000 pounds and ran 8 psi in the front and 12 psi in the rear tires. The tractor wearing the 1400s clocked in at a hefty 60,000 pounds when 60% loaded with seed and fertilizer. It ran at 13 psi in the front and 25 psi in the back. That’s roughly double the air pressure of the 1100 setup. When you run a higher air pressure, you decrease the tire’s footprint size and increase the pounds per square inch (PSI) on the soil. The end result is more soil compaction because the machine’s weight is distributed over a smaller area. As you can see, the effects of the tire track narrowed as we measured deeper. At 9 inches into the soil, there was no practical difference between the two. As we observed, planting with 1100 LSWs did not affect healthy root development. Even with our heavier (and higher-air-pressure) 1400 LSW setup, we observed uniform corn kernel counts between ears from inside and outside the tire tracks. (However, the corn in the tire track had lighter, shallower kernels.) Because of the thinner stands with the 1400 setup, especially in the wettest areas, we would expect to see an overall yield drop for tire track areas. With the 1100 LSW setup, we observed a uniform kernel count on corn and uniform plant development on soybeans inside and outside the tire tracks. Plus, the 1100s eliminated the pinch row effect, which will happen on the inside four rows when a planter’s lift tires follow behind the tractor duals. 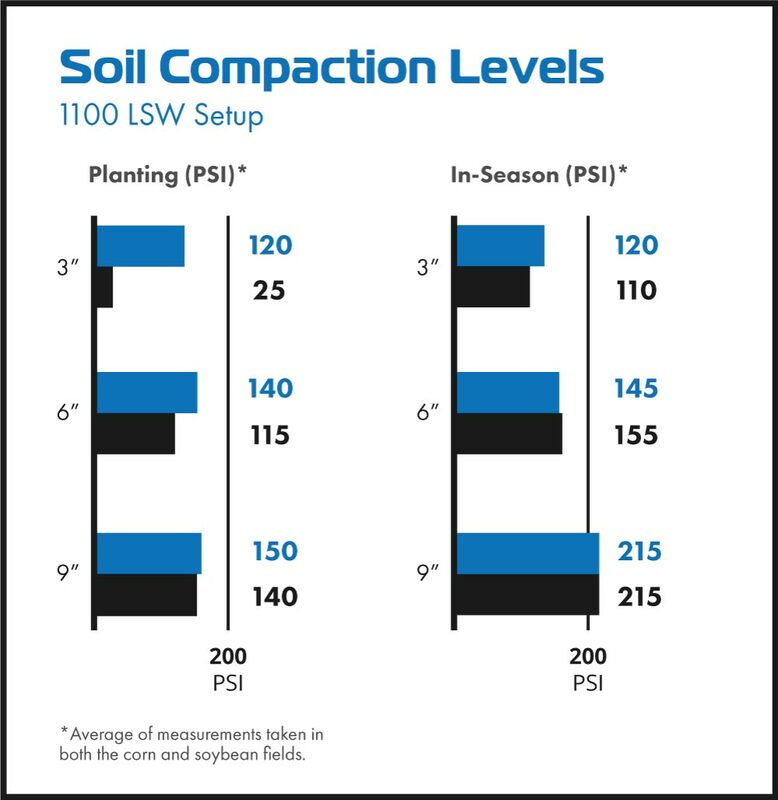 Given these facts, we predict that yield increases are possible when using an 1100 LSW setup versus duals. A corn plant comparison shows little difference in root development and corn ear size between plants growing in the 1100 Goodyear LSW tire track and those growing outside the tire track. A 2016 Iowa study reached the same conclusion: When planting with 1100 LSWs instead of duals, the study found a 6 bushel per acre advantage on soybeans and 5 bushel per acre advantage on corn. 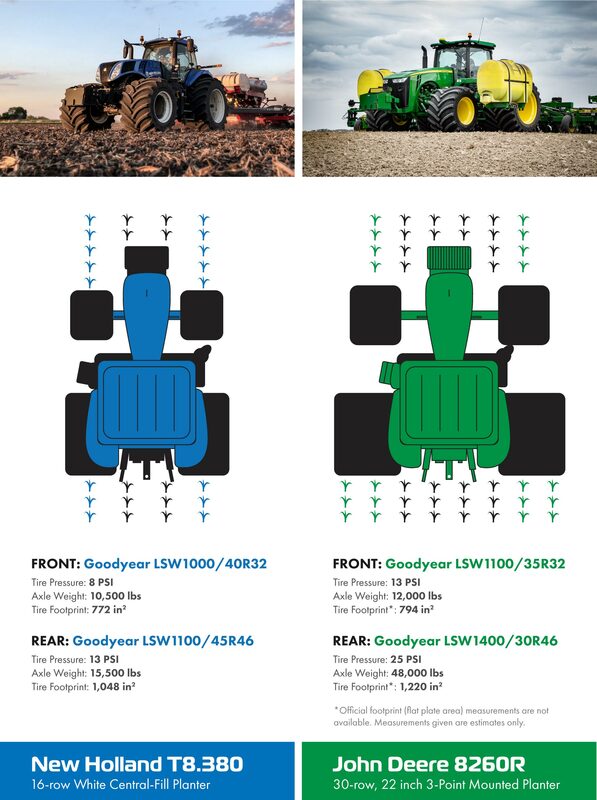 Want to know if Goodyear LSWs are an option for pulling your planter? At NTS Tire Supply, we look out for your business. Call us and we’ll only recommend products that have the potential to boost your bottom line. 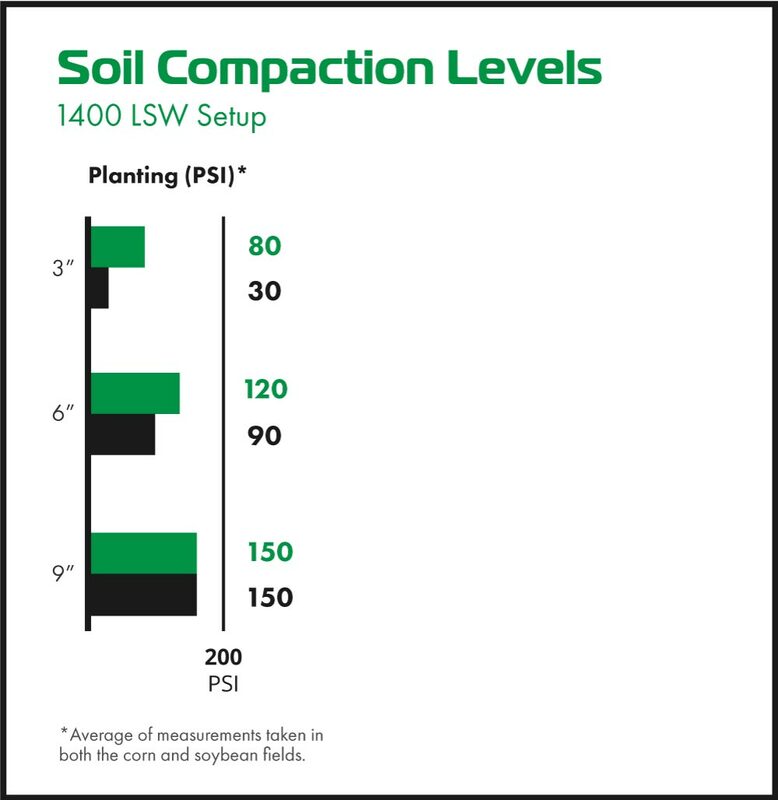 Based on our research and experience, 1100 or 1400 LSW super singles will only be beneficial for planting if you can keep the air pressure below 15 psi. If you need to run a higher psi, based on the load you’re pulling, it may be better to stick with a dual or triple setup. 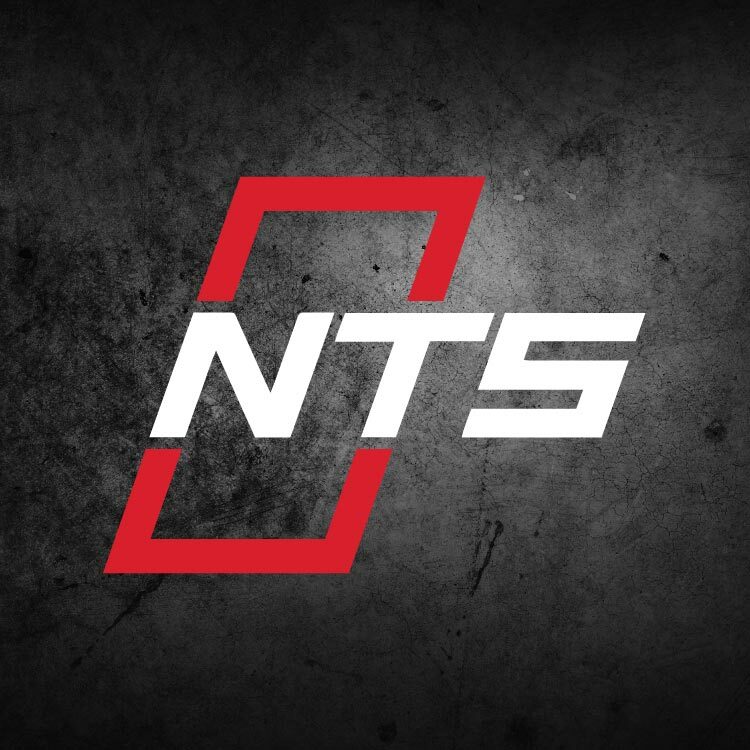 If you want to explore tire options for your planting tractor(s), give NTS Tire Supply a call and we’ll use our knowledge and experience to guide you through a changeover to LSWs, if we believe that they are the best choice for your operation. PTK, or Practical Traction Knowledge, is NTS Tire Supply's initiative to bring current, useful, unbiased information to you to help you make informed traction decisions. PTK is the place for you to ask questions and gain the traction knowledge necessary to improve your operation, no matter the size.